Trends come and go so fast in the world of fashion. I can't cover nearly everyone. I just pick the ones I find interesting and this trend has definitely got my attention. 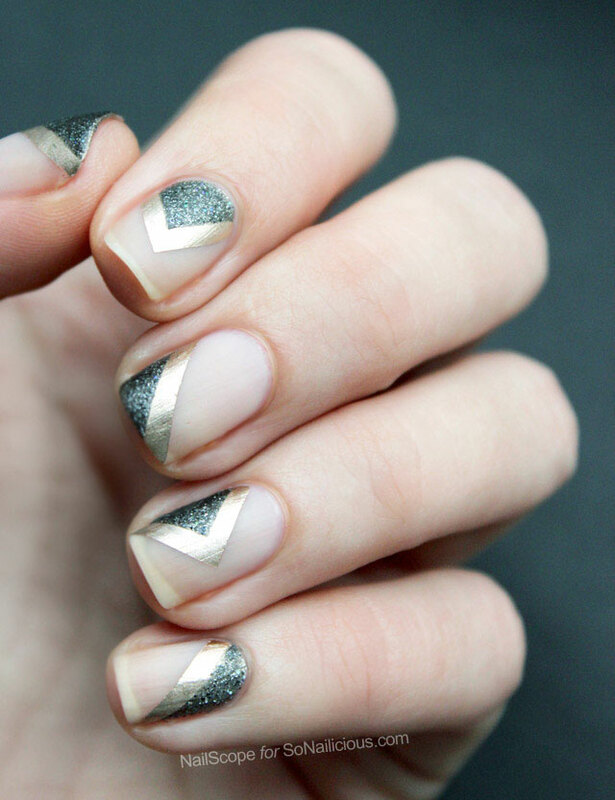 Negative space nail art simply means you don't cover your whole nail with polish. i.e, there a space of your natural nails. This is an interesting concept. 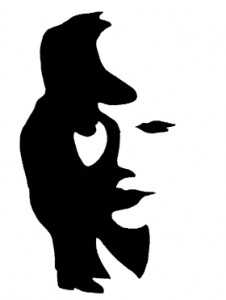 This concept is derived from fine art where the composition of a piece of art is defined by its positive and negative space. Negative space is the space surrounding the image that helps form the overall composition. First and foremost, CLEAN nails. Some people use nail polish as an excuse to cover up dirty nails. Not gonna fly with this trend (shouldn't fly on a normal day too). 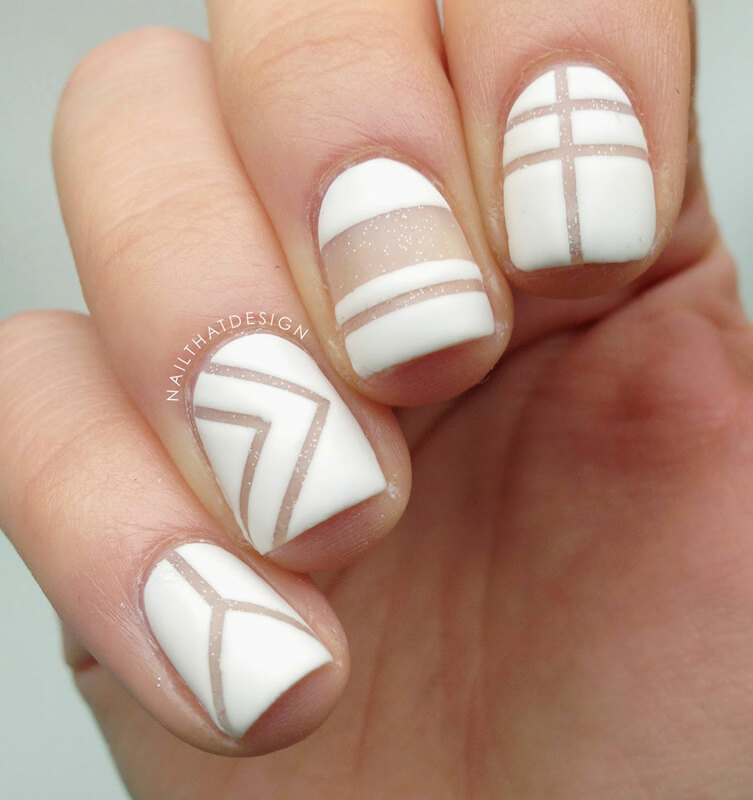 To achieve this look seamlessly, the key is to use striping tape. This can be found at beauty stores or online at Born pretty store. You could try normal tape but you'd have to be extra careful. For those of us who can't get striping tape, may I recommend a simple cloth thread. This might be stressful but effective too. Shape is key. 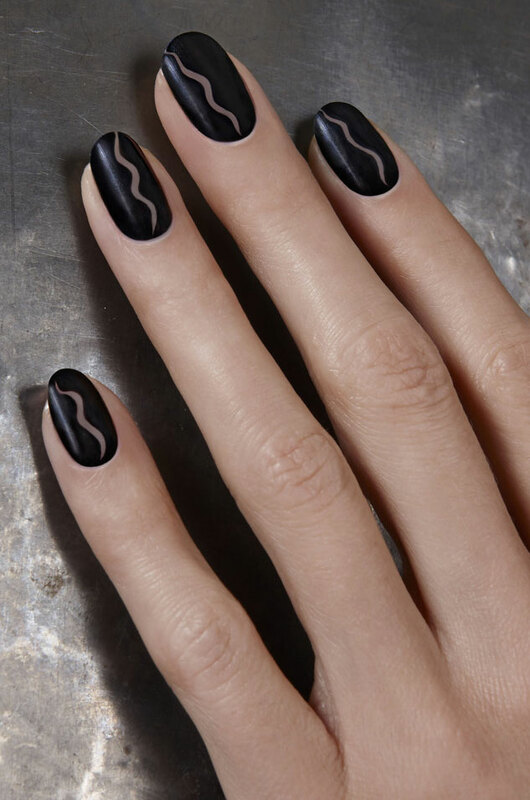 File your nails to go with the design in mind. If you're going for a structural look, I'd suggest a square look. 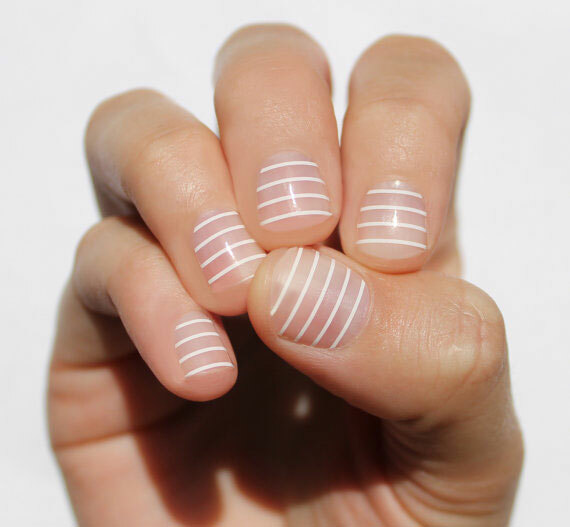 For more on nail shapes, you could read college fashion's nail shape informative article. Start simple. I always hammer on this point because it's true. Stick with simple styles first, then move on to more complex ones. I am currently loving this striped design. Go short. I don't think claws or very long nails go very well with this look. It may actually. But I don't really see it happening. For starters, I think one should go with short nails. Don't skimp on nail care routine. Everything should be as perfect as it can be. Use a base coat. I think this is self explanatory. Don't use thick or sticky nail polish, it'll just make things messy. Go for thinner ones. Finish off with a top coat. 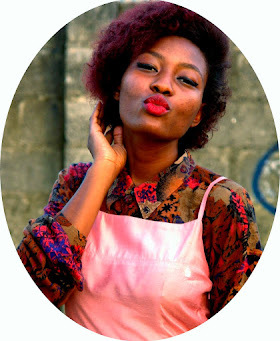 Are you going to try this trend? Yay or Nay? Do you think this trend will last? Let me know in the comments, I'd like to hear from you.! Would you wear negative nails? Was this post helpful? What do you think of this trend? Let me know in the comments, I'd love to hear from you! I am going to be making/painting my nail tomorrow I wish i had the time to do this. Hopefully I get to do it this weekend, nail designs fascinates me. thanks for sharing. Love the post. Thanks for sharing. I finally found nail art that suits my short nails. You're welcome! I know, right! It seems most nail art's for long nails.